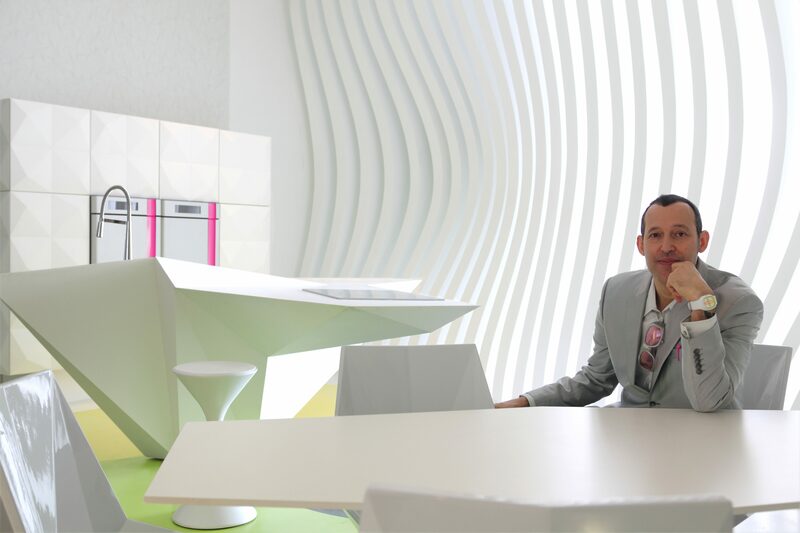 Karim Rashid, one of the most prolific designers of his generation, having worked in over 35 countries, with over 3,000 designs in production and over 300 awards under his belt has designed the ‘Ideal Home’ named KOMB HOUSE (organized byTarek Nour Communications/AAPIC, Agouza-Giza-Egypt) to be displayed in the new The Designer’s Hall at the “Le Marche”, the leading furniture fair in Egypt. 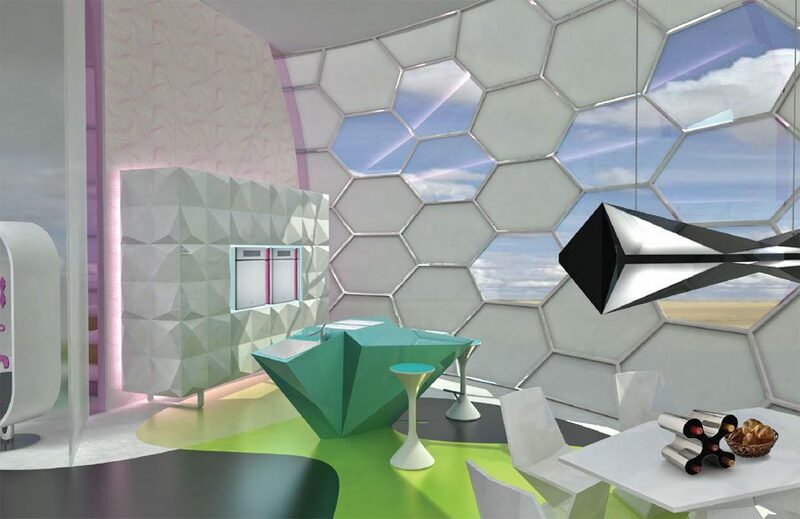 KOMB HOUSE by Karim Rashid is a smart and environmentally sustainable home concept and based on the design versatility. 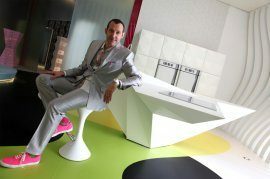 It also features the domino hobs and ovens from the collection Gorenje designed by Karim Rashid. Karim will also be a guest speaker on December 19th 2010 at the Cairo International Convention & Exhibition Center (CICC). KOMB HOUSE is an ideal dwelling that utilizes technology to create traditions, customs and a sense of family and community. It creates a lifestyle that incorporates both the modern and traditional material with minimal impact on the environment. The interior of the KOMB HOUSE is composed of four spaces that represent our main activities: Play, Eat, Sleep and Cleanse. The house layout flows from the central pool and expands to four quadrants making up the living room, bathroom, bedroom and dining room. The kitchen is merged with the formal dining room and breakfast area. 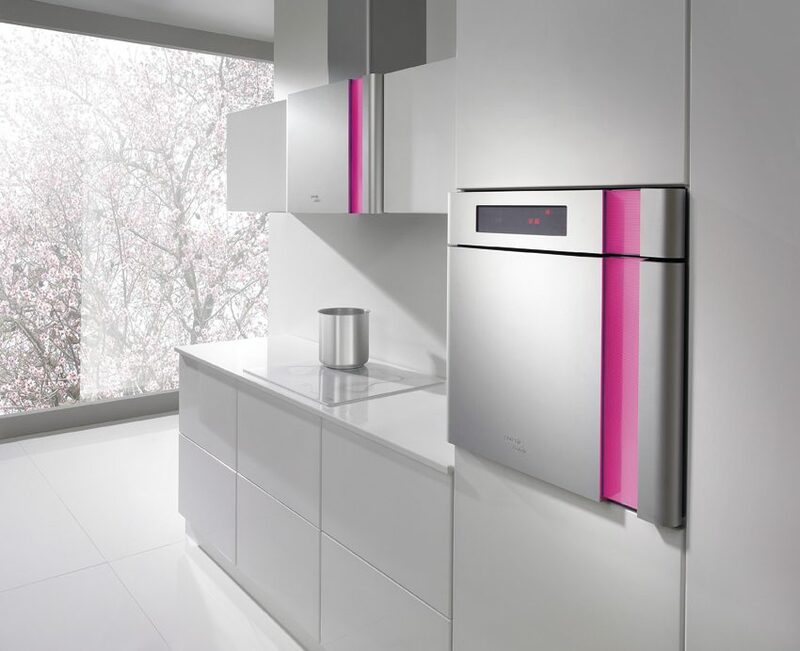 The ‘origami’ kitchen unit features a concealed fridge and two built-in Gorenje ovens. 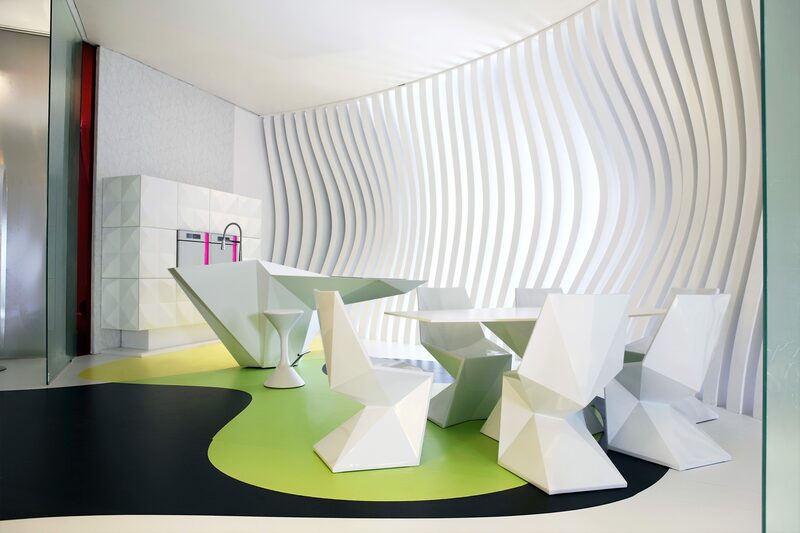 The freestanding, faceted island has a built-in Gorenje induction hob in white. 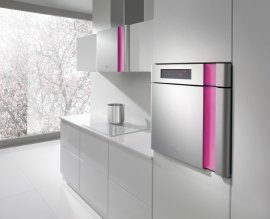 These brand new innovative and technologically perfected induction hobs in splendid white colour will turn even the most challenging of culinary endeavours into playful creation, while the reflections of magical light and modern aesthetics of new ovens will charm your senses. Just like the entire KOMB HOUSE!